Cook the quinoa according to package directions. Meanwhile, dice the cucumber and red pepper and add to a large bowl. Wash, dry, and chop the lettuce, then add to the bowl. Add the remaining ingredients including the cooked quinoa to the bowl. Stir well to combine. *you can add more or less of the ingredients based on your personal preferences. Feel free to add in other leafy greens as well. I came up with this recipe last summer when I made a large batch of homemade sugar-free blueberry jam and didn’t know what to do with it all. 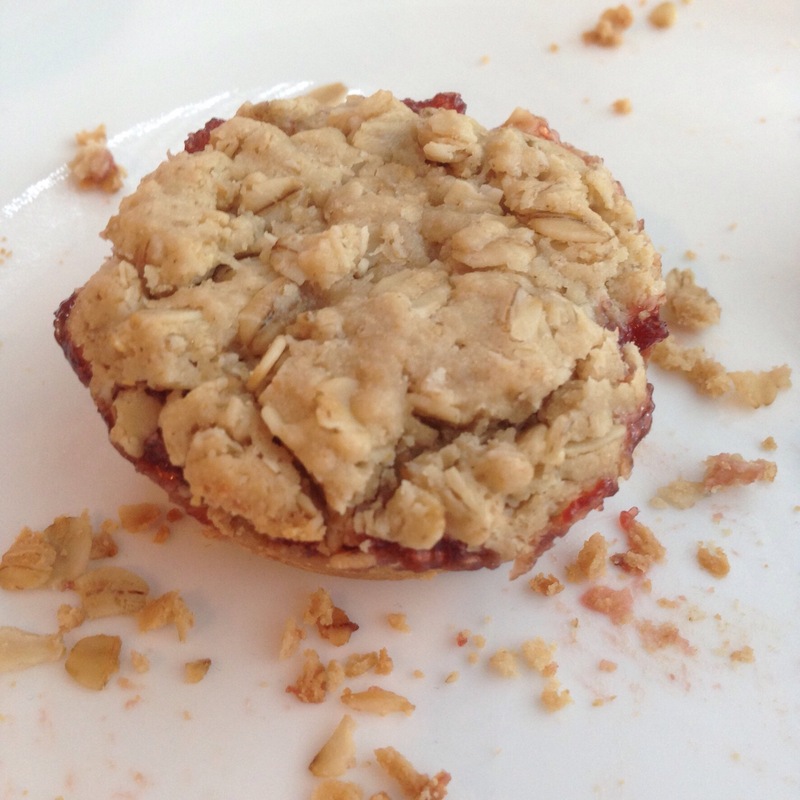 I don’t eat PB&J sandwiches very often so I created this jam-filled snack. These cups can be eaten for breakfast or as a healthy snack or dessert. You can use any type of jam you like, but try to find an organic jam with little to no sugar added to keep this treat healthy. *To create oat flour, simply grind oats in a coffee grinder or food processor (1 cup of oats will NOT equal 1 cup of oat flour, so measure again after you grind the oats). You can also substitute whole wheat flour if gluten is not a problem for you. 1. Preheat oven to 350*F. Grease a muffin pan or line with cupcake liners. 2. In a large bowl, combine all of the ingredients except the jam. Mix well. Place a tbsp of the oat mixture into each cup and press down with the back of a spoon or your fingertips. Place in oven for 10-15 mins until golden. Remove from oven. 3. 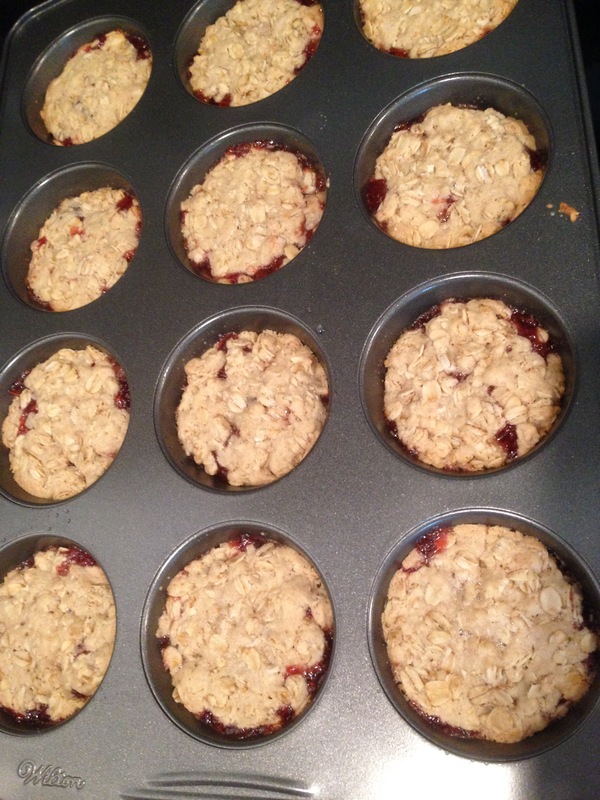 Add 1 1/2 tbsp of jam into each cup, then add a tbsp of the oat mixture on top. 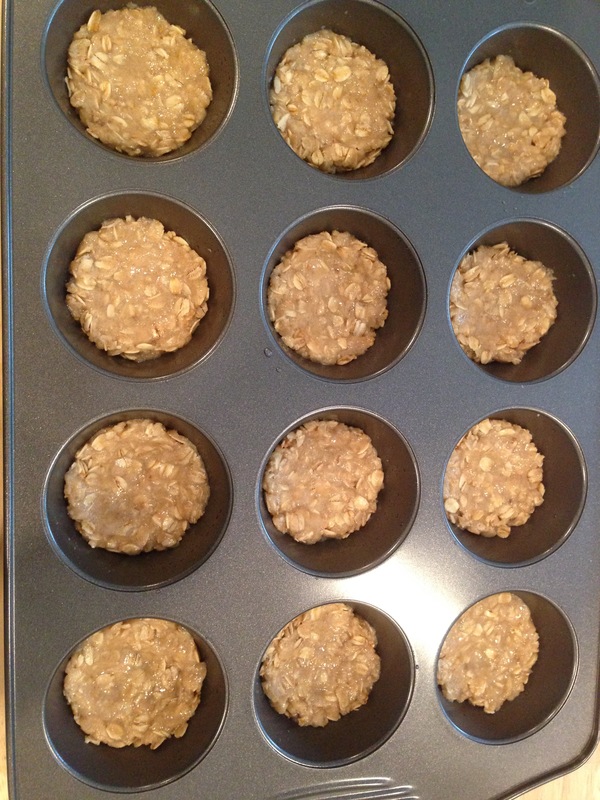 If you have extra oat mixture, just distribute it evenly among the cups. Place them back in the oven for another 15-20 mins, until the cups have browned slightly on top. Allow the cups to cool in pan for at least 10 mins before removing. 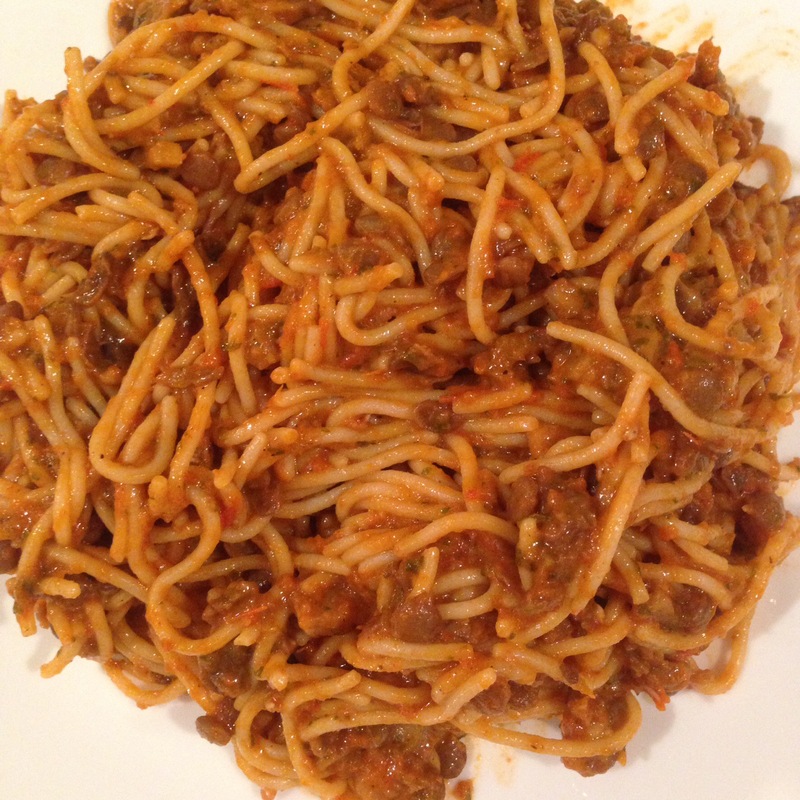 Over the last year I’ve done a lot of experimenting to find healthy yet delicious alternatives to tomato-based pasta sauces. My daughter has GERD so tomatoes are a no-no for her. It has definitely been challenging trying to create a red sauce that looks like tomato sauce yet contains no actual tomatoes; but this one is a winner with not only my daughter but also my picky husband. I like to add lentils for added protein, iron, and fibre, but they are not everybody’s cup of tea. If you’ve never had them in your pasta before, try adding some to just a portion of the pasta so you can do a taste test before adding them to the whole pot. 1. 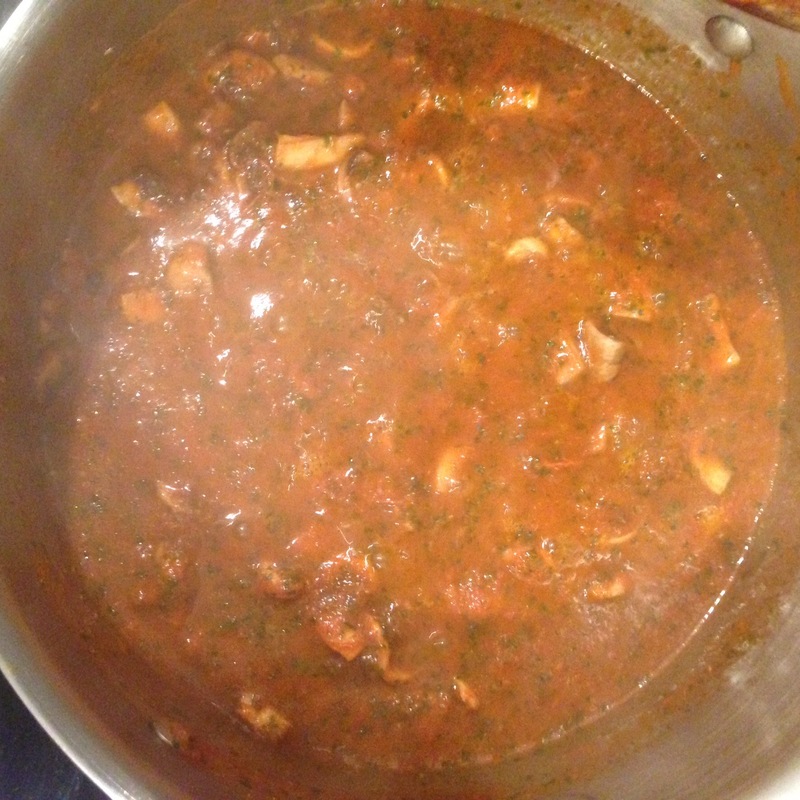 In a large pot, heat the olive oil on medium heat, add the mushrooms and sauté for 5-10 mins until tender. 2. 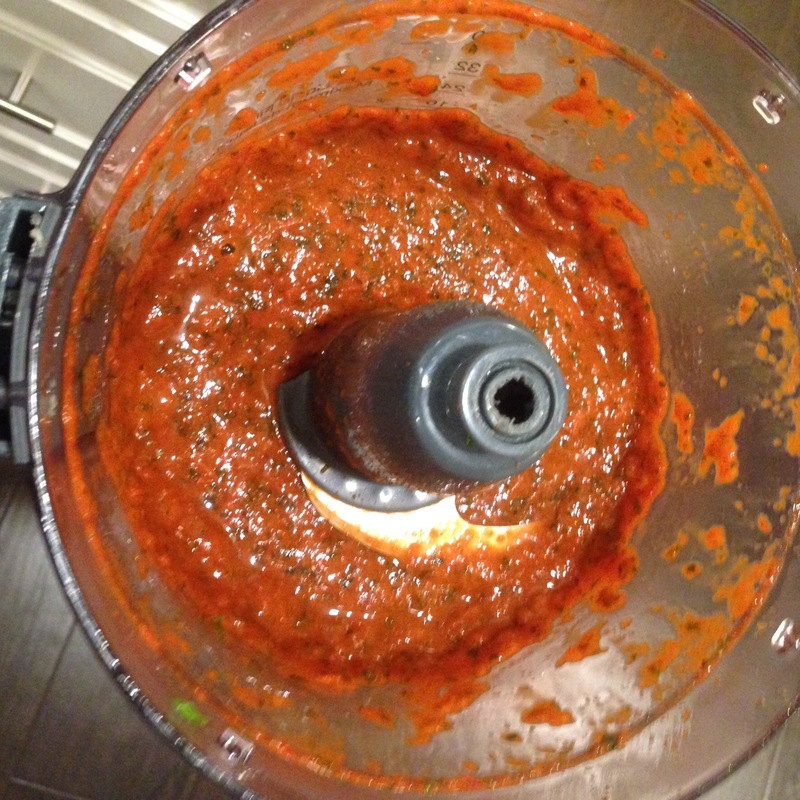 Meanwhile, place the roasted red peppers, garlic, onion, and parsley in a food processor and purée. 3. Add the purée to the mushrooms. Add the broth, salt, pepper, and oregano. Stir to combine. 4. Simmer on medium-low heat for 10-15 mins until the sauce thickens. Remove from heat, add cheese and stir until melted. 5. Add cooked pasta to pot and stir to combine. If you are adding lentils, they can be added now. Feel free to add greens or any other veggies you like! I love hard tacos but I hate the mess created when eating them. I am a messy eater as it is, and having my food fall apart on me halfway through my meal doesn’t help matters. That’s why taco salad is great. 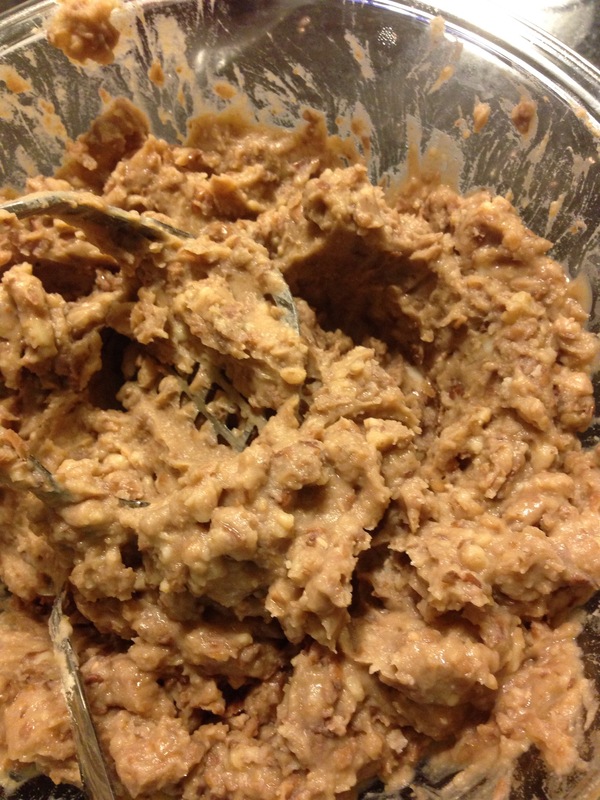 It’s basically a sloppy, broken-up hard taco that you eat with a spoon. My vegetarian version uses beans in place of the meat (meat eaters can substitute chicken or beef), and some extra greens. Because you can never eat too many greens! 1. Rinse the beans and boil them in a pot of water until soft. 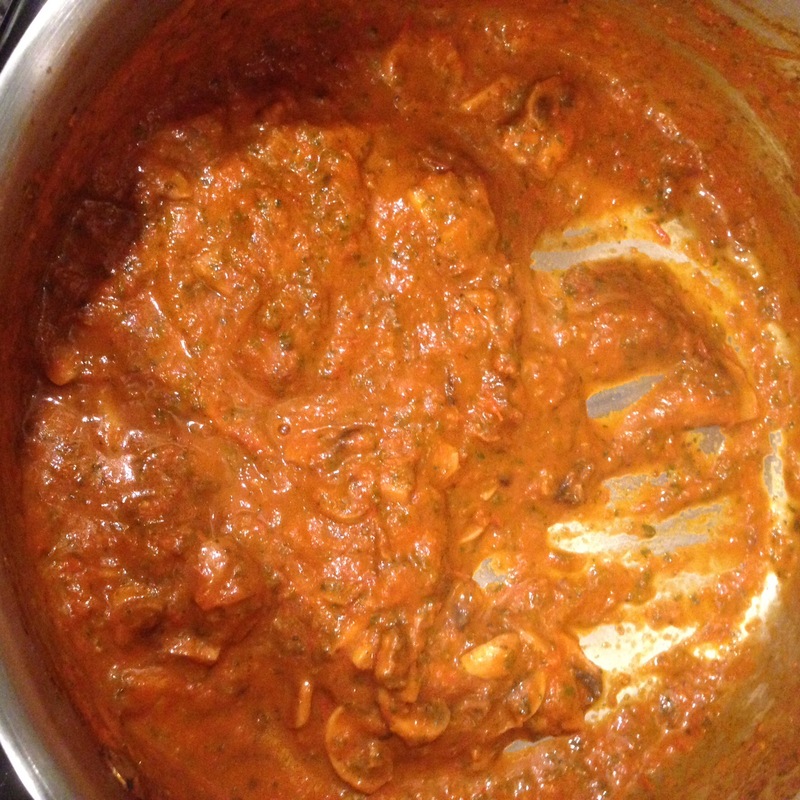 Once cooked, reserve 1 cup of the cooking water and drain the rest. Mash the beans with a potato masher and mix in the taco seasoning as well as reserved water. Note: if you prefer a spicier taste, you can add red pepper flakes to the seasoning as well. 2. Sauté the onion in a little oil for about 5 mins until tender. 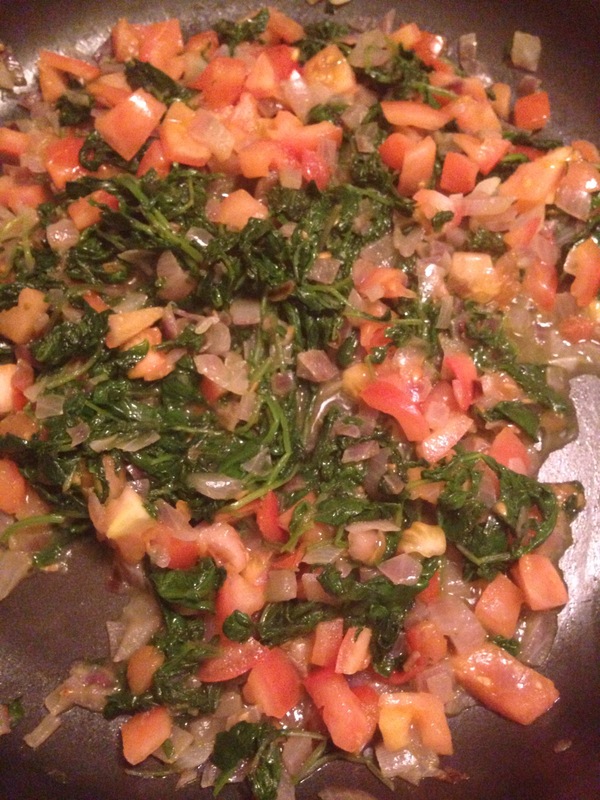 Add the kale (or spinach) and cook until soft. Add the tomato and cook a few mins more. 3. 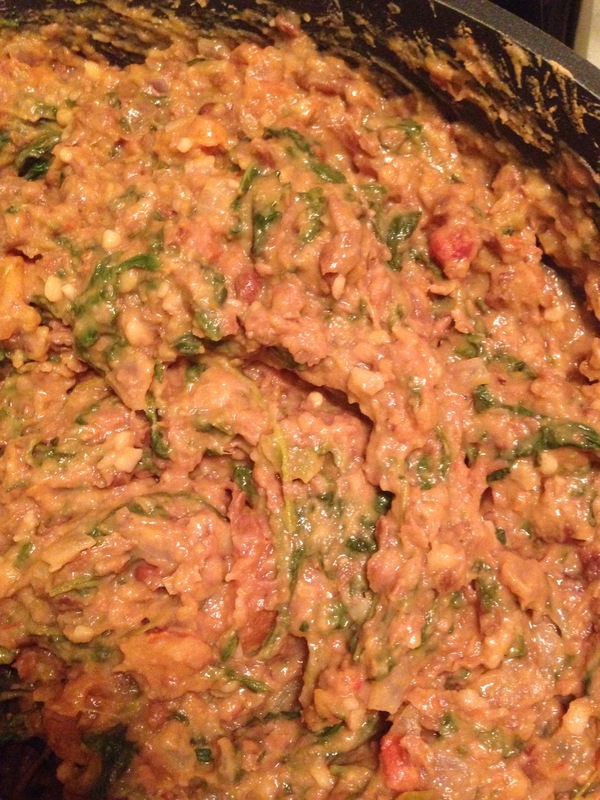 Add the mashed beans and salsa to the cooked vegetables, and stir until combined. 4. 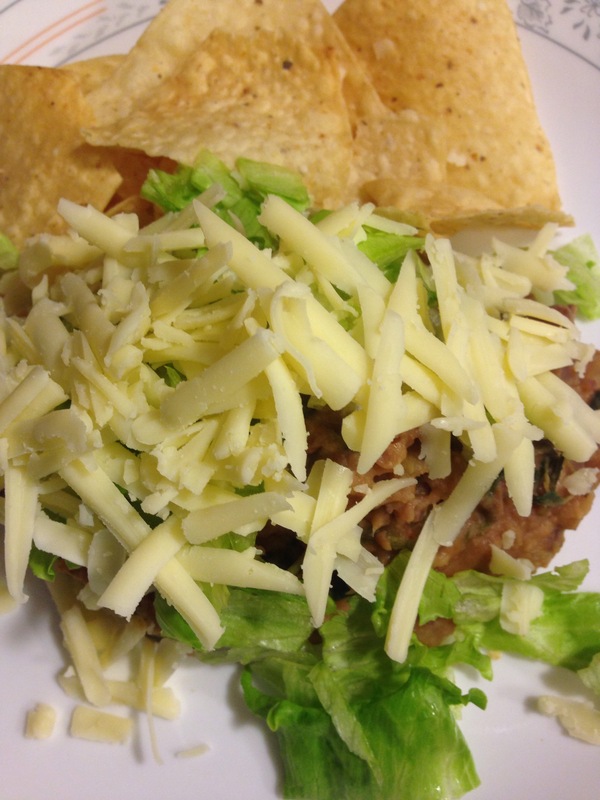 Scoop about a cup of the bean mixture into a bowl and add a handful of shredded lettuce, grated cheese and drizzle a little taco sauce on top. Add the chips and crush them into the mixture. I love moussaka but finding a good vegetarian recipe is not easy, especially one that is gluten free. My recipe is a combination of Jamie Oliver’s veggie moussaka and Martha Stewarts’s meat moussaka with my own variations thrown in. I pre-bake the veggies in the oven instead of pan frying them to save prep time, and the typical bechamel sauce is replaced with a feta and ricotta cheese mixture to make this moussaka gluten free. Although this recipe is quicker than others, making moussaka is time consuming so save this for a day that you have a little extra time to put dinner together. 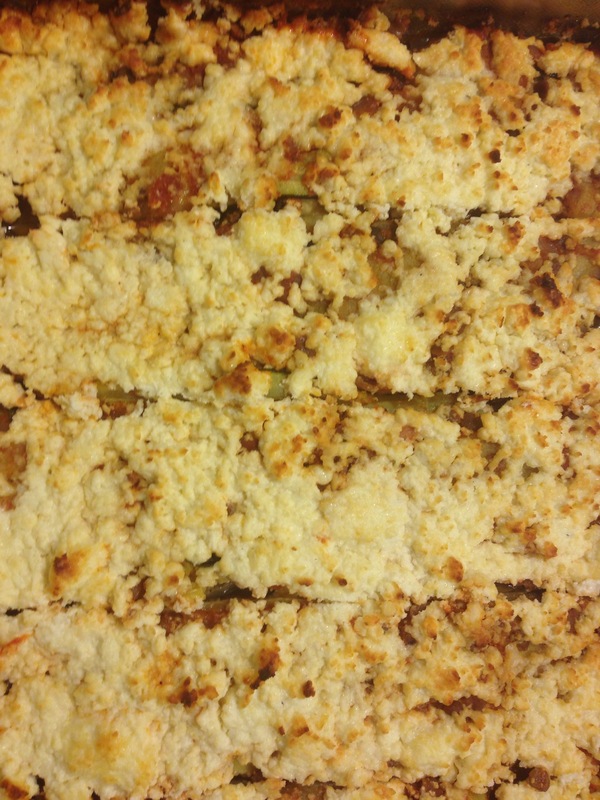 It is worth the effort though, and even meat eaters find this veggie moussaka to be delicious. 1. Preheat oven to 400*F.
2. 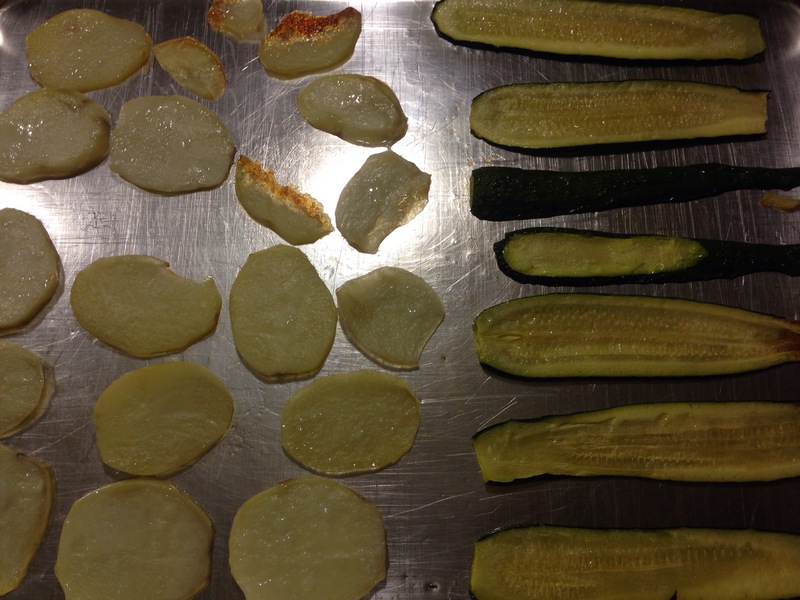 Cut the eggplant lengthwise into 1/2-1inch slices. 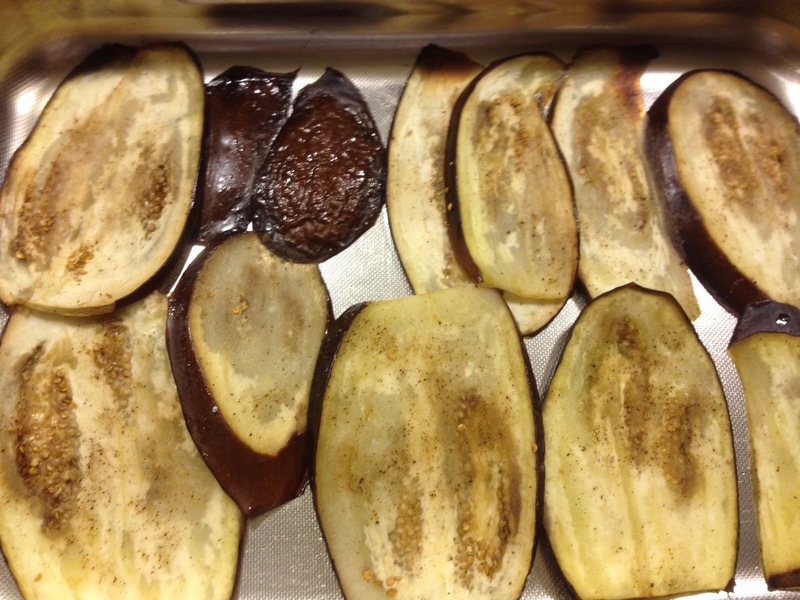 Combine the salt and pepper with 6 tbsp olive oil on a baking sheet and toss with the eggplant. Place the eggplant slices in a single layer on the baking sheet (you may need more than one). Place the baking sheet(s) in the oven and bake for 20-30 mins until soft and fully cooked (the eggplant slices will shrivel and shrink a bit). 3. Peel the potatoes and cut into 1/2-inch slices. 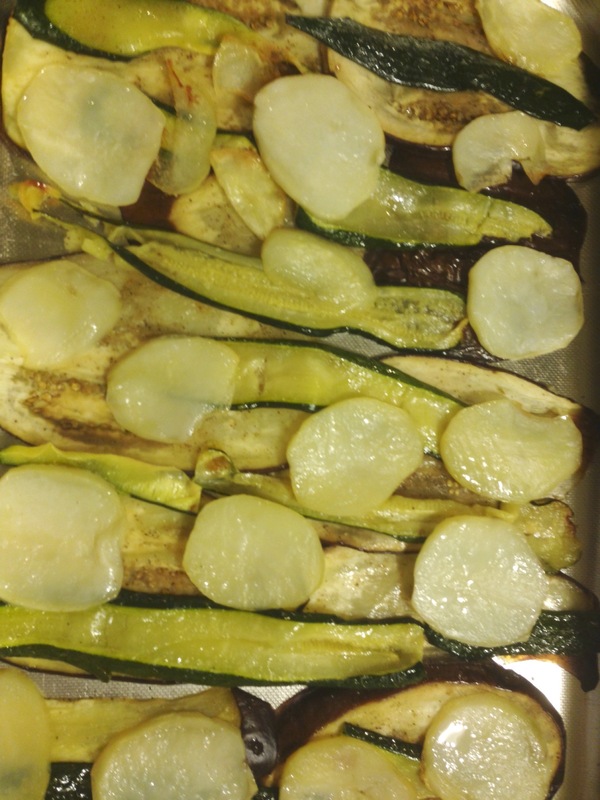 Cut the zucchini into 1/2-inch slices as well, and toss both the potato and zucchini slices with the remaining 6 tbsp in oil. Spread the slices into a single layer onto baking sheets and bake in the oven for 20-30 mins until soft and slightly golden. 4. Cook the lentils according to package directions (sprouted lentils cook in 5 mins, regular lentils will take much longer). Drain any excess water and set aside. 5. Dice the onion and sauté in a little bit of oil for 4-5 mins in a saucepan. 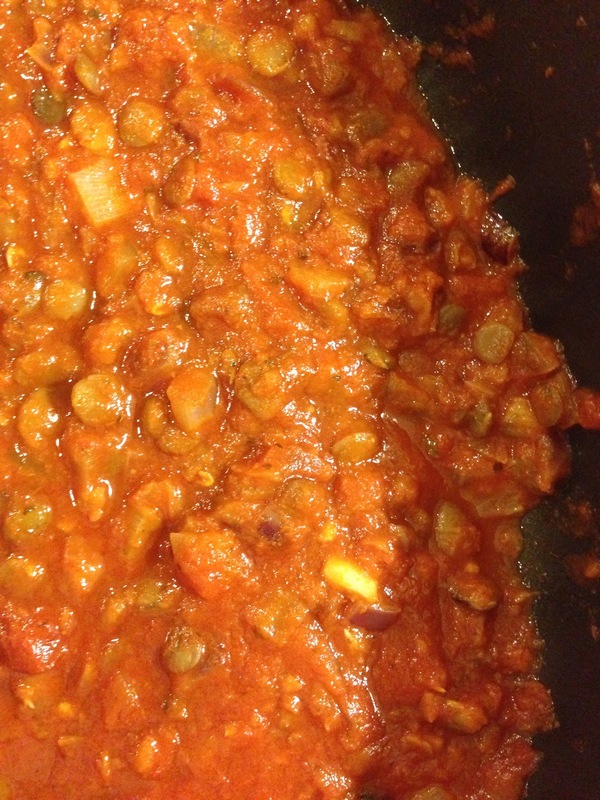 Add the lentils and tomato sauce. Stir until combined then set aside. 6. Layer half of the eggplant slices in the bottom of a 3-quart casserole dish. Layer half of the potato and zucchini slices on top of the eggplant. 7. Pour half the sauce mixture over the layered vegetables. Then layer the rest of the eggplant, potato and zucchini slices over the sauce. Pour the remaining sauce on top. 8. Combine the ricotta and feta cheese in a large bowl and then spread evenly over casserole. 9. Broil in oven until cheese is spotted brown (about 10 mins). 10. Cut into squares and serve.